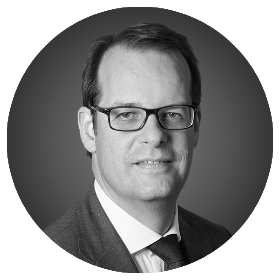 Alexander Belderok joined Roland Berger in 2006 and now heads the Consumer Goods & Retail Global Competence Center. Alexander concentrates on reinforcing the competitive positions of agribusiness, consumer goods, retail, biotech and pharma, food ingredients, and specialty chemicals companies. He provides support in restructuring, strategy development, and business model innovation. Alexander's main interests are in business model innovation and industry change. He is adept at working with all levels of an organization, from the board of directors to the factory floor. His creative solutions to the issues faced by his clients are complemented by efficient, effective implementation. Alexander feels at home in a wide range of industries. He eagerly takes on projects with complex, multifaceted questions, large numbers of stakeholders and operations spread across several countries. Alexander studied Mechanical Engineering and Business at the University of Twente and received his MBA from TSM Business School. He began his career at Unilever and has worked at Roland Berger since 2006. In 2008, Alexander co-wrote the book Operations Excellence. He is an ambassador for the University of Twente and a board member of the innovative children's hospital De Boeg. "I am driven by business model innovation and supporting change in various industries."